Women On Business is currently accepting reader content submissions. It’s a great way to get your name in front of a community of women and men working in the field of business. Note that all submissions must be original and not already published elsewhere online. By submitting content to Women on Business, you agree to the terms and conditions on this page. Links are not allowed in reader submissions. You may include one link to your blog or website in a brief author bio (2-3 sentences only), which must not includes sales language of any kind and will appear at the end of your post. Bios that include more than one link or sales language will be edited at the sole discretion of Women on Business editors. The single link in the author bio must lead to the author’s blog or website and will use the HTML No-Follow tag. This is not a link-building opportunity. It is an opportunity to extend your expertise and thought leadership to a professional audience. If you’re submitting content for SEO keyword backlinks, or if you’re getting paid for your post (directly or indirectly), don’t bother. Posts that are deemed to be submitted for payment or for the primary purpose of generating SEO backlinks for specific keywords or keyword phrases will not be published or keyword links will be removed prior to publishing. Furthermore, posts that link to sites which appear to be affiliated with multi-level marketing (MLM) programs (including the Empower Network) in any manner will not be published. These determinations are up to the sole discretion of WomenOnBusiness.com. Keep reading and follow the rules below if you want your content to be published. If you have a great idea for a post and would like to generate added exposure for yourself, your website, blog or organization, then feel free to complete the form below to submit your content. Articles must be written in English, useful and helpful to women in business, and well-proofread. Note that we do not publish content related to religion, politics, or clothes/fashion. Submitted content should not be self-promotional in any way or they will not be published. This determination is at the sole discretion of Women on Business. Submissions that are flagged as potential spam, self-promotional only, or lacking the quality necessary for publication on Women On Business will not be published. Submission does not guarantee publication. Due to the high volume of content submissions that we receive, you will not be notified if your article is accepted and published on Women on Business. This is a free service offered as a courtesy to help women establish themselves as thought leaders in the business field. It is not intended to be used as a sales or marketing tool. 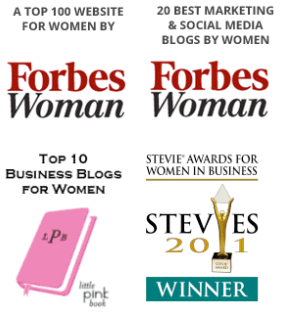 Check back to Women on Business periodically to see if/when your content is published. Inquiries related to publishing, editing or deletion will not be answered. To learn if your post has been published, visit the blog directly, follow Women on Business on Twitter or Facebook where all posts are shared, or subscribe to our newsletter using the form in the right sidebar of this page. Complete the form below to submit your original content (which has not already been published elsewhere online — all submissions will be checked for prior online publishing matches using Copyscape). If matches are found, the article will not be published. Formatting HTML is allowed (e.g., links, bold, etc.). Note that submissions with excessive links or links that might be flagged as spam will not be published. By checking this box, I certify that this post is original, has not been published elsewhere online, and I have the right to grant permission to WomenOnBusiness.com to publish it with my name as the author. I also certify that I am not part of a multi-level marketing program, and I am not being paid for this post by any person or entity. I also certify that WomenOnBusiness.com may edit my post at its sole discretion and without notification to me prior to publishing. I certify that I have read and understand all guidlines for content submission, and if my post is published after being edited by WomenOnBusiness.com, I will not ask to have it removed because of any of those edits or because links were removed. Such requests will not be responded to as WomenOnBusiness.com does not respond to messages related to reader submissions. By checking this box, I acknowledget that WomenOnBusiness.com may or may not publish my post at anytime without notice and WomenOnBusiness.com does not respond to inquiries related to publication status. I also acknowledge that all links will be removed from my post except for one link to my blog or website which will use the HTML No-Follow tag. I acknowledge that my post may be edited by WomenOnBusiness.com prior to publishing and without notice to me.